A garage is your place of solace, right? It can be the perfect place to get away from it all. And this goes for men and women. Whether it’s the place you park your vehicles or the space you turned into your personal studio, it’s valuable floor space you use optimally. But garages aren't cozy. Winter months turn them into ice cold rooms that you dread to go into, unless you heat them properly. And no, you don’t have to pay a lot. 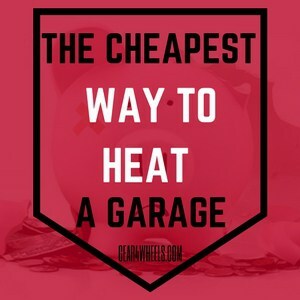 I’m going to show you the best way to make use of your garage again, even in the midst of winter, by telling you the cheapest way to heat your garage. Now, let’s heat it up. You will see that it takes a while to reheat the area if you opened a door, so always keep doors closed so you can conserve heat and energy. You can install these units yourself if you want to save on labor costs. Here’s how you do it. You’ll save on electricity and feel warmer if the garage is insulated. Since it’s not used as a living space some garages aren’t insulated upon building; this is to keep costs low. 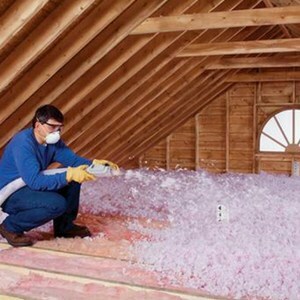 Check walls and ceiling areas and add insulation if necessary. Add seals to garage doors and other entrances so no cold air will enter when the doors are closed. But always keep ventilation going. You don’t want CO2 building up in the room while you work. Simply use a tool which you can cut the holes in a neat manner. A smooth hole is easier to insulate later on. Remember you also need a gas line connected to the system and a power outlet to drive the blower. The unit’s instructions will guide you regarding installation and connecting the pipes in the right places. What you’ll love is that you can place or install it anywhere. Because it makes the air circulate, it doesn’t require a specific position for optimum effect. Leave some space around the heater though, as it’s always wise not to let it stand against a wall or install it close to the ceiling. There are more ways you can enhance the effect of your heating system, but it will add to your monthly utility costs. Electric radiant ceiling panels heat the air around them and serve as additional insulation. Not every situation is the same, right? One reason you may not like the forced air heater is the noise. Alternatively, an electric infrared heater can be used if venting and gas options don’t suit your preferences. But in this case your utility costs will be very high. Are you ready for your DIY project? Your garage can become your new favorite spot overnight. You can get more done, whenever you feel like pursuing your hobby or working on your car. You don’t have to wait for summer anymore. So, in this article you will find out yourself what will be the cheapest way to heat your garage according to your needs.